You are here: Home › General Announcement › Patreon › Prints › Sale › Halloween Sale! It’s our annual 3-day Halloween Sale! All day today, Friday and Saturday. Click here to see the sale prints! Over 100 different prints to choose from, be sure to scroll through them all. 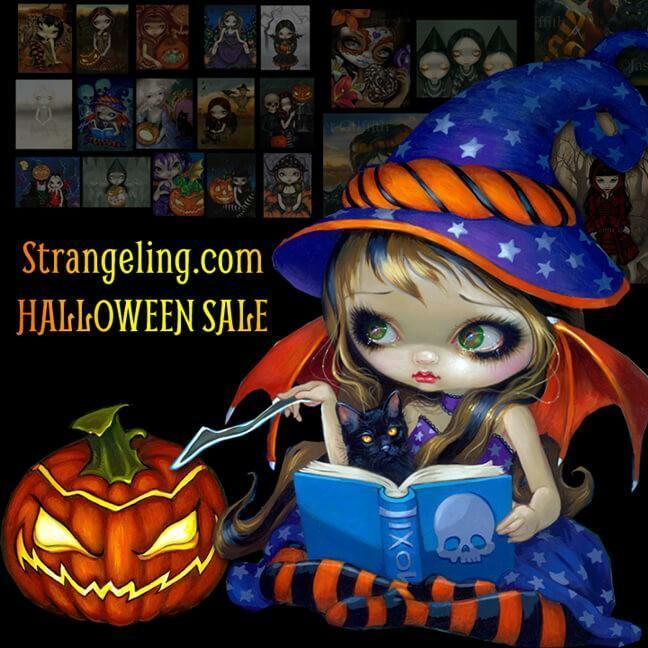 We’ll have all of my Halloween / Autumn / Dia de los Muertos / Spooky prints on sale for only $9.99 for small prints, $19.99 for big prints (both sizes are signed on the back by me), and small open edition canvases only $70 and big open edition canvases only $90. No limit. And guess what? Those of you with the Patreon discount will get an ADDITIONAL 10% off on top of that (the folks at the $10+ level at Patreon get a perpetual 10% off discount, even on sale items, you can always upgrade up to the $10 level for the extra discount, it is definitely worth it if you buy even a couple prints). You can sign up and save a ton, click here for more info on Patreon.